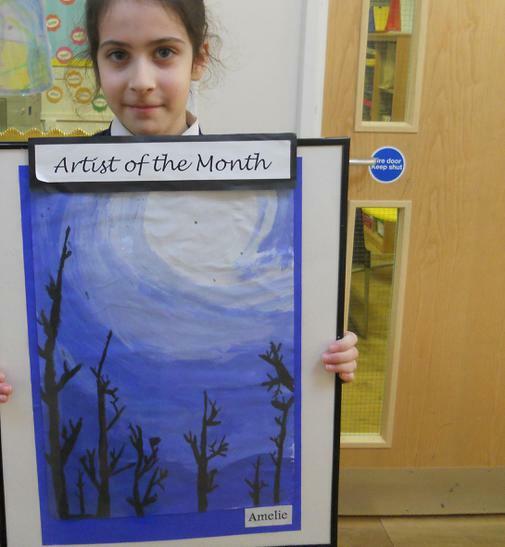 Artist of the Month this month is Amelie, who is in St Joseph's Class. Amelie used only 3 colours to paint her atmospheric winter scene. Well done, Amelie!